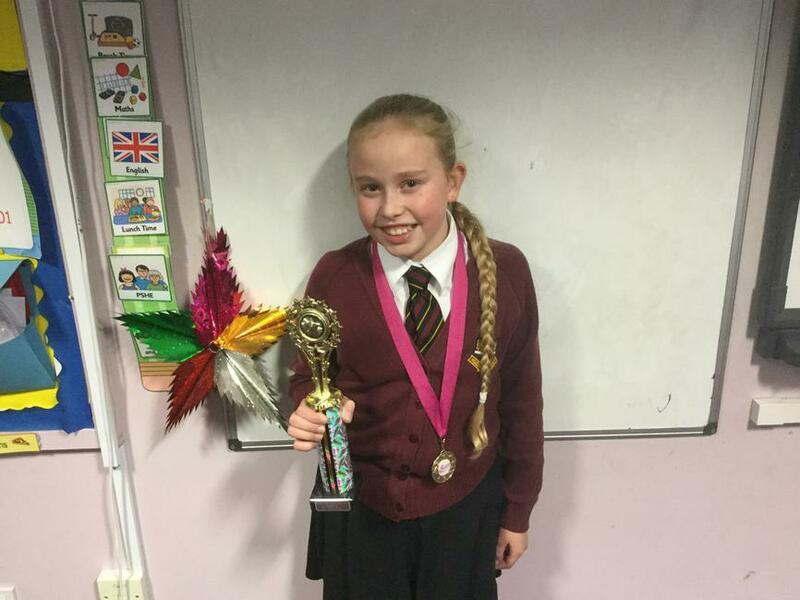 Elly has been awarded this trophy and medal for showing excellence in the field of cheerleading. Her teacher said that she picks up the chorography very quickly and she has demonstrated a great deal of dedication. Elly really enjoys performing dance and this is reflected by the comments of her teacher.